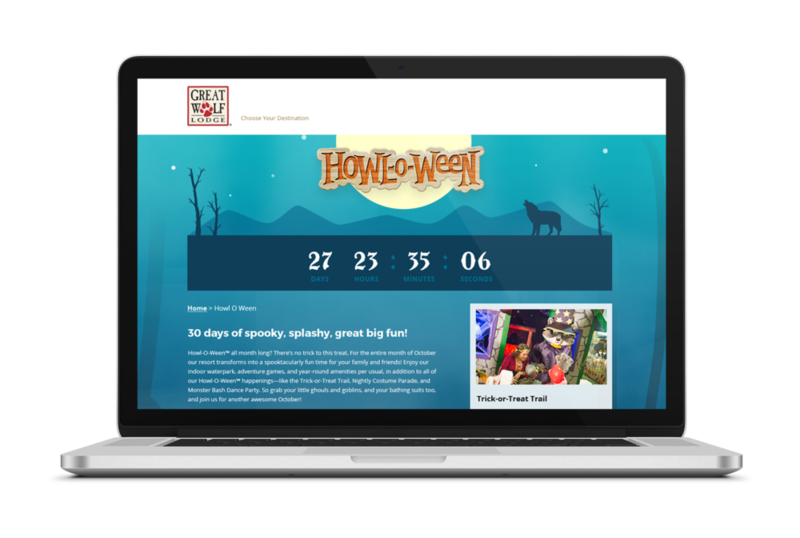 At Hill Holliday, I had the opportunity to help Great Wolf Lodge launch a special-edition landing page for Halloween. Through original illustration and touches of animation, we built a spooky and playful experience that got kids and their families excited for their upcoming visit to the Lodge. 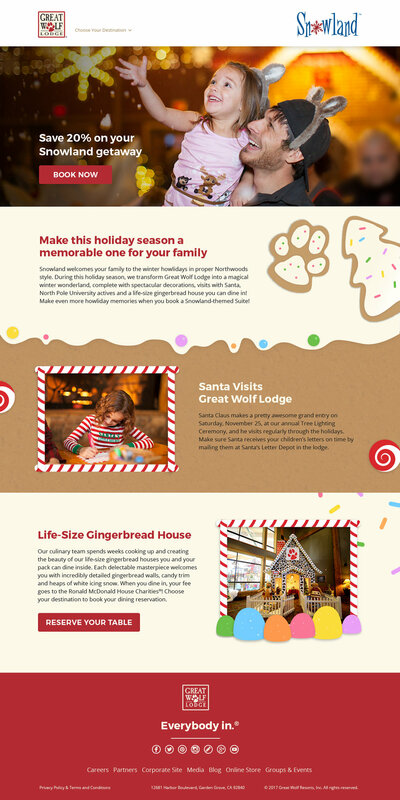 Throughout the holidays, Great Wolf Lodge hosts a number of special events and activities, including a visit from Santa, a life-size gingerbread house, and a snowfall experience in the main lobby. To promote the festivities, we launched a landing page made entirely out of gingerbread.